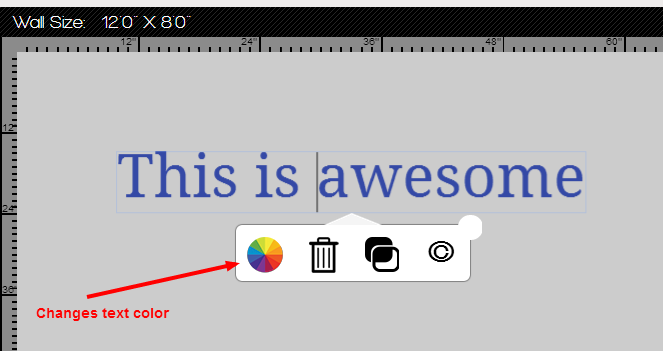 After adding the text to the artboard, you can right click or double click the text. You should see a few options pop up(see image below) and click the color wheel to change the color of text. Please note, that only 2 colors are allowed in a design.